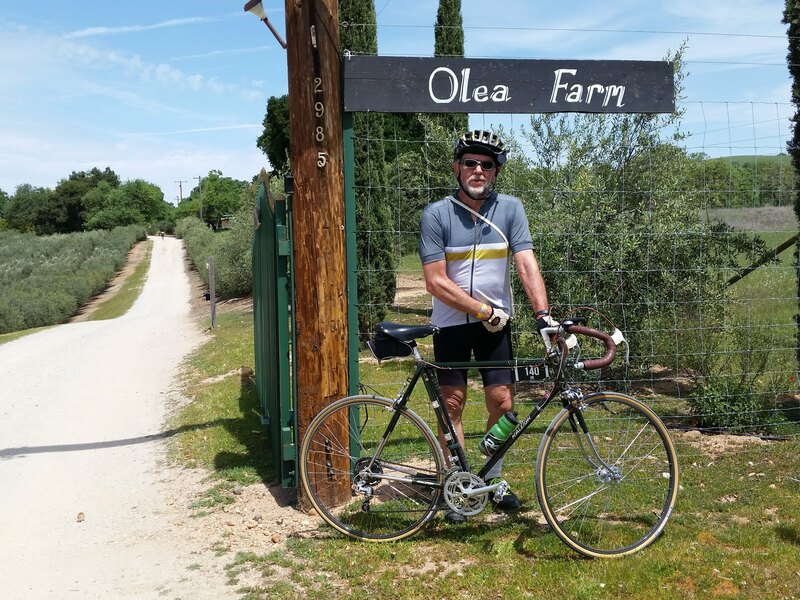 I was able to ride the Eroica California short course, April 15th, up in Paso Robles. It was great event for vintage, pre-1987 bikes. I was able to hook up with several riders from the Pasadena vintage ride group that I also ride with. I built up an old Raleigh Super Course for the ride after suffering with inappropriate gears on my beloved Legnano back in 2016. I also lost about 40 lbs since then. The hills there are really tough, besides riding on 12 miles of dirt and gravel. The old Raleigh and I also did a Sulfur Mountain ride and survived that as a tune up. Eroica was much tougher, and I joined the other riders, some younger and fitter than me, as we walked the hills. I would have been depressed, if I wasn't having so much fun. I really thought i could ride the hills this year. Oh well, there's always next year. There was a great swap meet and concours on Saturday, and the ride on Sunday, varying from 40 to 120 heroic miles. Good times. Nice photos. looks like you had a great time. Thanks for making good use of this forum.